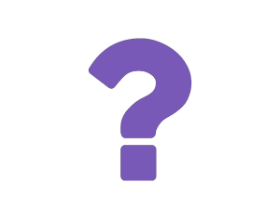 Home » FAQs » How does a Sling Library work? Sling Library was created to inform parents and carers about all things slings: optimal infant positioning in slings, general sling safety, and to enable them to be fitted for a sling and try them out before they buy. Sling library is run by qualified baby carrying consultants, qualified sling librarians and an army of trained admin volunteer staff, without whom sling library could not exist. Slinglibrary.com is a community interest not for profit company. We have slings available to try on or hire from newborn to preschooler. Whether you want to borrow a sling for a one off event such as a wedding or walking holiday, or if you’re looking for a sling for using every day we will have the right sling for you. The first hour of sling library is devoted to the needs of parents and carers with babies under 5m old who are new to slinglibrary. Unlike the library drop in session this is a workshop. In this workshop we cover unsafe, safe, and optimal slings and carriers and how to spot the difference. Safe infant positioning in slings and carriers, different types of carrier pros and cons. Followed by a session on good technique with 4th trimester slings and a trying on session. Once you have attended a 4th trimester workshop or had a one to one consultancy session you can use the drop in as usual. Sign in on arrival on the sign in sheet, we will see everyone in turn. You may be grouped together in busier sessions with other parents with similar needs. We endeavour to give every parent a free mini sling consultation, 10-15 minutes. 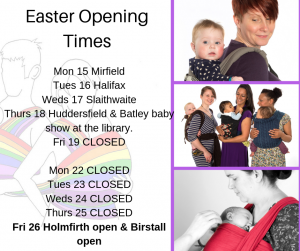 In this time slot you can: talk about positioning, get help with your own sling, OR to be fitted for a library sling, (we can fit for back carries but teaching how to do it yourself would need to be done in a one to one session). In this time frame you will have chance to try on and learn to use 2 or 3 of ONE type of carrier, or learn a wrap technique. You can see the different types of sling and carrier here. You can come as many times as needed to try on different types, or you can book a one to one session if you would like more time. 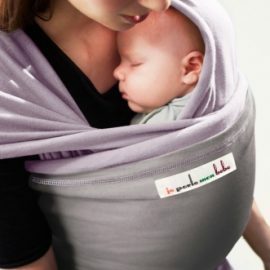 If you wish to hire a sling you will need a £40 deposit (or recent proof of address such as a bank letter and a photo ID) cheques are preferred but we also take pay pal and cash, plus the hire fee of either £6.50 per month for new born stretchy slings or £6.50 per fortnight/£10 per month for all other slings and carriers. If you feel you may need longer to discuss your needs, or if you or your baby have any special considerations please make an appointment for a private consultation. Consultations start at only £20 for an hour, details can be found here.